While there are some things I hate about being a homeowner, one of the best things about owning my own home is getting to decorate however I want. When I was a renter, I was restricted to white walls and some places I lived even restricted the number of things you can hang on the wall. But now I can paint the walls crazy colors and hang as many things on them as I want. 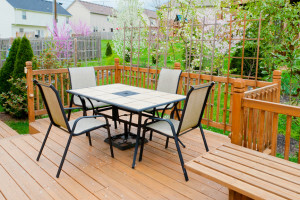 When I was going through the process of buying my first home, I knew I wanted to have a nice outdoor space for entertaining in the spring and summer. I love spending time outdoors, so I wanted to have a nice sized yard. Unfortunately, I got a nice house and a terrible yard when I bought my home. The yard is a nice size, but it needs a lot of work. After DIY-ing a lot of my own yard work to save money, I finally am getting to the point where I can buy outdoor furniture and décor, which is my favorite part. I want a classy look, but I don’t want to spend a ton of money, so here are three ways I’m decorating my outdoor space for less. As part of my back yard project, I want to finish building my deck. I’ve been working on it for some time now and part of the reason it has taken so long is that I always wait for a sale or special deal to get my building materials. Sometimes buying them online can save you money too. There are lots of savings on timber at Patio Living, as well as other stores, that can stretch your decorating budget. Before I buy my outdoor furniture, I will be selling some of the things I already own. Then I’ll be able to put that money toward my new outdoor furniture. Another way I’m saving on my outdoor furniture is by using a few hand-me-downs from my parents. They just got new furniture last year and were kind enough to give me a few things they no longer wanted. Another way to save on furniture is to get neutral colored frames with replaceable cushions. The first thing that usually wears out on outdoor furniture is the colorful cushions. They get faded and gross after a year or two, so being able to replace just the cushions instead of the whole furniture set will save a lot of money. Another thing I utilize to make my outdoor space a relaxing environment is a lot of plans and greenery. I love the feeling that live plants can bring to an indoor space, and I find that they also make an outdoor space nicer too. Therefore I’ll be planting lots of hardy greenery that will come back each season to finish off my outdoor space. When you have a nice outdoor entertaining space to enjoy during good weather, it can make your home seem even larger than it really is. 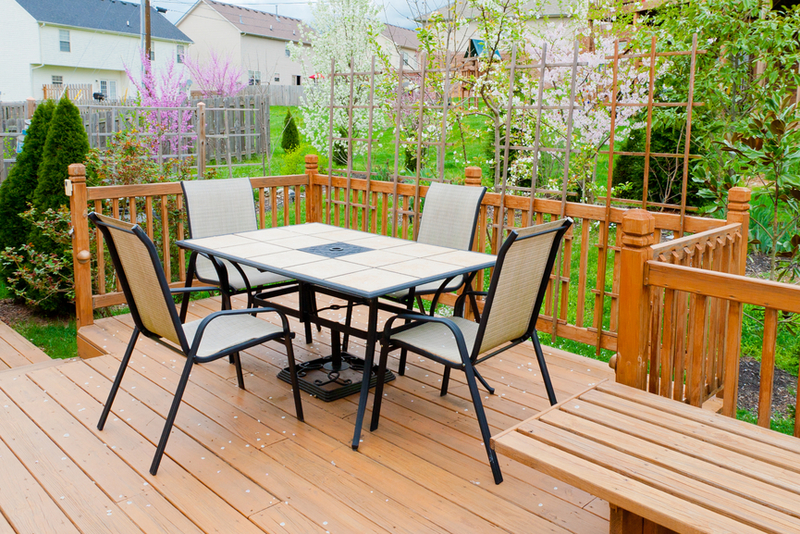 But you don’t have to spend a lot of money on putting your outdoor space together with these tips.